Chesapeake Bay waterman EC Hogge with a derelict crab pot retrieved from the York River. Credit: CCRM/VIMS. Extending their methodology to estimate the economic benefits of removing derelict crab pots and lobster traps on a global basis, the researchers showed that removal of even 10% of derelict pots and traps from major crustacean fisheries—the percentage of the Bay's derelict pots they estimate were removed by the VIMS program—could increase landings by 293,929 metric tons, at a value of $831 million annually. Scheld, an assistant professor at VIMS, says "it's well known that derelict fishing gear can harm the environment and increase crab mortality, but the economic impacts of this 'ghost fishing' have rarely been quantified. 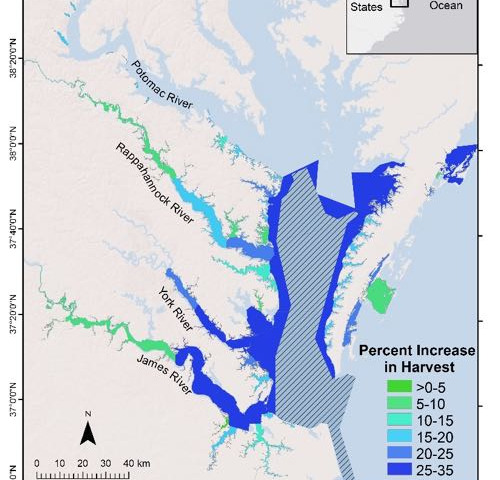 Our study shows that VIMS' collaborative efforts to remove ghost crab pots from the lower Bay led to an additional 13,504 metric tons in harvest valued at $21.3 million—a 27% increase above that which would have occurred had the pots stayed in place." 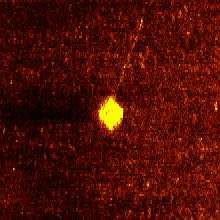 Side-scan sonar image of a crab pot. Credit: © K. Havens. 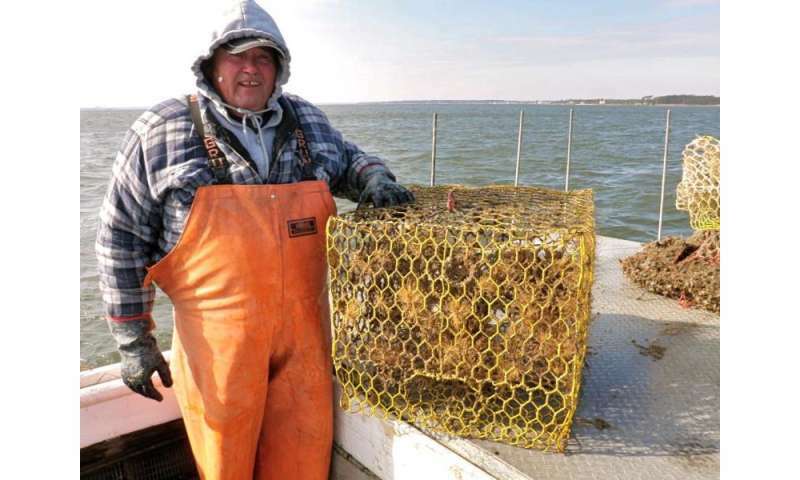 "We estimate that crabbers harvested about 60 million more crabs due to the ghost-pot removals," says Bilkovic. "That's one extra blue crab each time a pot is retrieved—crabs that would have otherwise been captured or attracted to the now absent derelict gear." Map of predicted harvest increases. Hatched area is a no-take crab sanctuary.